Planning a Key West wedding aka A Destination wedding. How do I? Simple question, can be simply answered with one word: Planning. From the very start think about what youâ€™re looking for in an island wedding, is it the adventure of the escape to paradise to tie the knot, the idea of having both a wedding and honeymoon in the same location? What are your priorities? Think about your budget, or how much you want to spend? The idea of only having to invite a few guests as opposed to many in your home town? 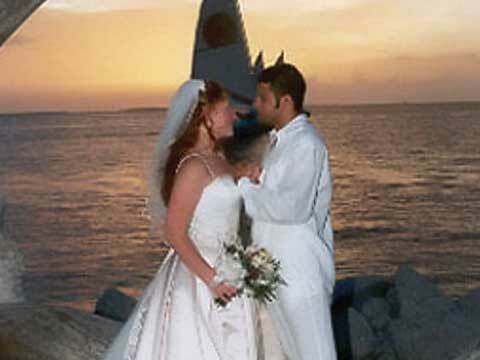 Key West offers much in the way of beautiful locations for your wedding, many of which can be combined offering both ceremony and reception in the same place. If you want just a ceremony on the beach, and perhaps a small dinner reception afterward we this can be accomplished as well, with our many upscale restaurants. In planning a Key West wedding think about cost, cost for wedding services, but also travel cost, how will you and your guest arrive in Key West, where will you stay while on the island, will the lodging location offer group rates for you and your guest? Would you stay at one of the cozy Bed and Breakfast Inns, Guesthouses, or perhaps youâ€™re looking for a Resort type atmosphere? There are many located on the island and cost will vary on whether or not it is â€œseasonâ€ in Key West . Find out if your visit to the island coincides with the many festival the island holds, and will there be a conflict? What time of day do you want to have your event? During the day? Mid-Afternoon? A pre-Sunset wedding? How will you two be dressing for your event? How big will your bridal party be? Do you want a Civil ceremony or one that is Religious? Will there be children present? All questions for your consideration, and there will be more. What is important to you with regard to photography or video for your wedding? This brings up an interesting thought to consider: When considering a professional photographer for your once in a lifetime event consider the amount of experience they have had with wedding photography. There are many â€œwant-to-beâ€ photographers out there, but how will your photographer respond when suddenly their photography equipment malfunctions, even back-up equipment where all automatic capabilities are no longer functioning? Will you be their first Victim? When considering your videographer for your event, will time be taken to professionally edit your event? Will you receive a beautiful mini-movie of the two of you, complete with music that you have had an input in? Will your wedding video be an â€œin-cameraâ€ edit? Or will it be completely edited all the way through? This is a once in a lifetime event, a time in your life in which an established professional is most important as what is being created for you is a family heirloom that you would want to hand down to your children and grandchildren.